Liquid lipstick burst into the scene only a few years ago. Their long-lasting formula attracts fans but can get messy. Here’s how to apply liquid lipstick. Liquid lipstick is the answer to many frustrations people have about regular lipstick. It lasts long, doesn’t wear off, and gives you that flawless look the entire day. Some women avoid it for fear that it’s too messy. But once you learn how to apply liquid lipstick, you may never go back to the standard formula. There a few things to keep in mind when giving it a try. Here’s your ultimate guide to applying liquid lipstick. It’s important to prep yourself for liquid lipstick. It will determine whether your lipstick will stay on and look good all day. Prepping will prevent your lips from becoming dried out by the makeup. One way to prep your lips is to exfoliate them using a scrub. This is not mandatory for application, but if you have dry lips it will help remove dead skin. Once you’ve properly exfoliated, you need to moisturize using a lip balm. This is one of the most crucial parts of the process because liquid lipstick can be drying. Make sure not to apply too much balm to avoid becoming too greasy. After moisturizing, let the lip balm sink in for a couple minutes before moving on. Then, apply a coat of lip primer. Again, this step is not strictly necessary. But it can be helpful for creating that long-lasting effect. Next, make sure to apply concealer on the area surrounding your lips using a sponge. This will prevent the lipstick from staining the skin during application. It will also keep the lipstick from smudging if you’re sweating or doing something active. The last step in the prep process is to apply a lip liner of your choice. This is a way to accentuate your cupid’s bow and create a full look. Now you’re ready to apply. Using the application brush, start with your bottom lip first. Begin at the lower edge and work your way up. Then, press your lips together to distribute the lipstick. After covering the bottom lip, move on to the upper lip and repeat the same motion. Remember that you only need to apply one coat to each area of your lip and that layering isn’t necessary. Also, a little goes a long way. Once applied, use a lip brush or cotton swab to help you shape it if there are imperfections. Don’t rub your lips together once the liquid lipstick has dried. This type of makeup doesn’t blend together like a gloss. Rubbing will only create streaks or dry out your lips. If you do find that you want to reapply your liquid lipstick, you will need to remove it and start over. Applying more on top will only cake your lips. 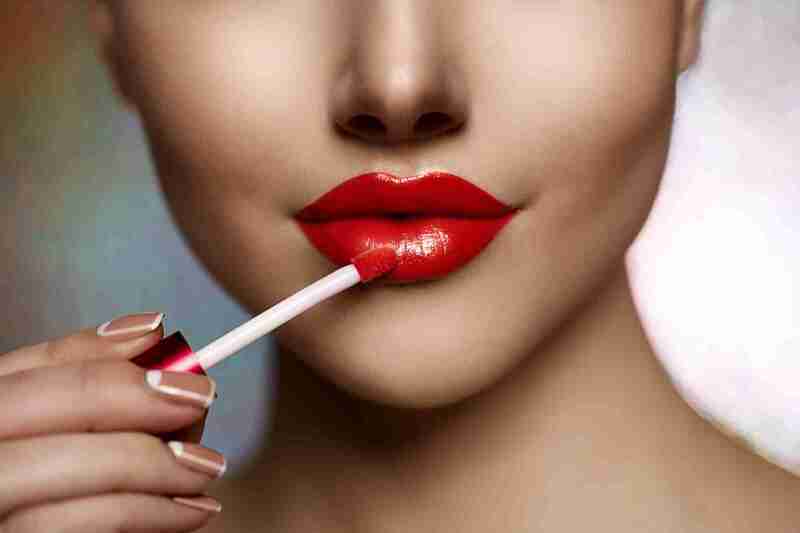 To refresh during the day, you can also try applying a gloss over the top coat of your lipstick. By following this guide, you’ll be a liquid lipstick connoisseur in no time. Now that you know how to apply liquid lipstick, remember that it comes in all different types. Some liquid lipsticks have different effects. They can be matte, glossy, or drier in appearance. Whichever formula you choose, removing the makeup will also be key. Liquid lipstick can be hard to take off, but a good makeup remover such as a wipe should do the trick. To read more beauty and makeup tips, check out our blog.